This book provides practical information that allows Safety Health & Environmental professionals to assess risk to their organizations. It also assists readers in determining whether or not they need to develop a formal risk and crisis communication plan. 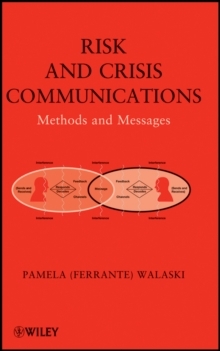 A blueprint for preparing such a plan is provided in the book, which details the means of developing effective and specific messages for various risk and crisis situations. Case studies are be used to demonstrate both effective communication processes and messages. Targeted at entry and mid level safety, health, and environmental professionals.